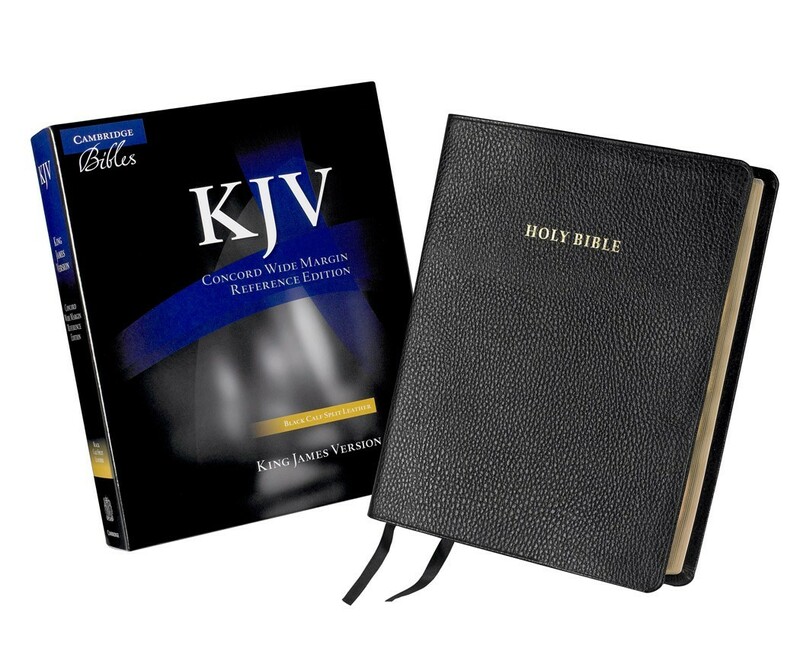 Extremely popular with KJV scholars, the Concord Wide-Margin Bible features wide margins all around the text for verse-by-verse annotations, as well as cross-references, a glossary, concordance, 15 color maps, and the Translators’ Preface. 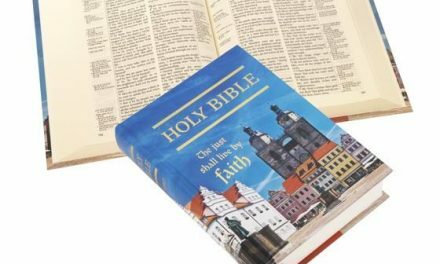 The Bible text features pronunciation marks and has the distinctive Cambridge bold-figure cross-references. The paper is slightly heavier than in the regular Concord to allow for note-taking and has gilt edges. This Bible is bound in black calf split leather, a new binding style for this edition. It has two ribbon markers and is handsomely finished with red and black head- and tail-bands.